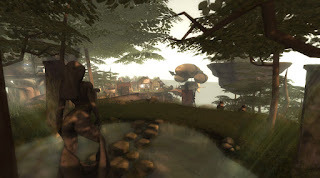 A Critical Look at Second Life - Part 1 "Presentation"
"Assuming SL improved performance enormously, from region crossings to lag to render times. (big assumption I know but roll with me here) What would you do to insure new users "stuck"? 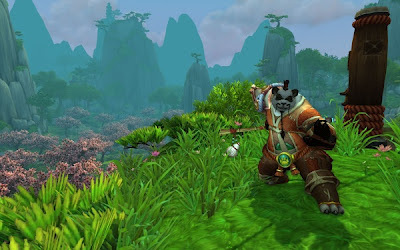 Right now after performance our biggest issue is not getting new signups or even people to experience SL for a bit, its turning them into long term users. Any thoughts on what you would do? We have some ideas but before pulling the trigger I would be curious what folks thoughts are here." This was the question Rod Humble, CEO of Linden Lab, posed to the Second Life community in the middle of 2012. It's a valid question, SL has been open to the public since about 2003, we're nearing the ten year mark and it still has a lot of difficulty retaining users. The grid itself has been shrinking as people tier down and sell off or abandon sims and much of the mainland is empty. What should LL do to change that? Well, first and foremost Linden Lab needs to take a critical look at Second Life, why people leave, what people complain about, and Linden Lab's own attitudes towards those complaints over the years. As I often say, there is not a single problem which pushes people away from Second Life, it is a combination of various bugs, missing/broken features and presentation issues. I've covered a number of these issues in previous articles but right now I want to take a comprehensive look at Second Life as a whole, the problems holding it back, why they are problems and solutions to those problems. 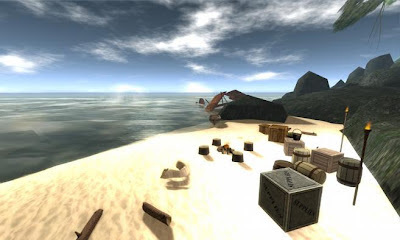 Before a potential new user even decides whether or not to log into Second Life, Second Life's presentation forms an opinion in their mind. First impressions are important and right now the common perception is that Second Life is ugly. Whether or not you agree with that perception is irrelevant, the important thing is to acknowledge that this is how SL is commonly perceived and to question why this is such a widely held belief so one can then take steps to change that perception. I covered a lot of Second Life's presentation issues in detail with the two part article "Beautiful Second Life" but I'll recap here. It all comes down to presentation. Promotional Imagery needs to entice potential SL users into creating an account and logging in! First a quick tip of the hat to Linden Lab. Until relatively recently, the imagery used to promote SL, from the SL website to advertisements around the web, has been lackluster. 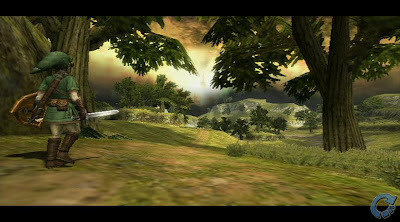 A promotion image I grabbed off the SL website at the time I was writing "Beautiful SL". background has arms too short to reach his own groin. 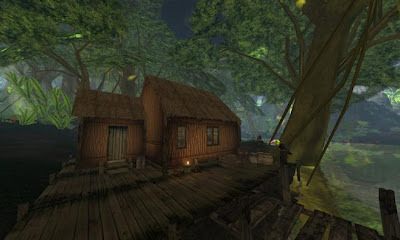 Shortly after I published "Beautiful Second Life", Linden Lab did drastically improve the imagery on the SL main page and seems to have shown remarkable improvement in their imagery used on the SL Marketplace website! 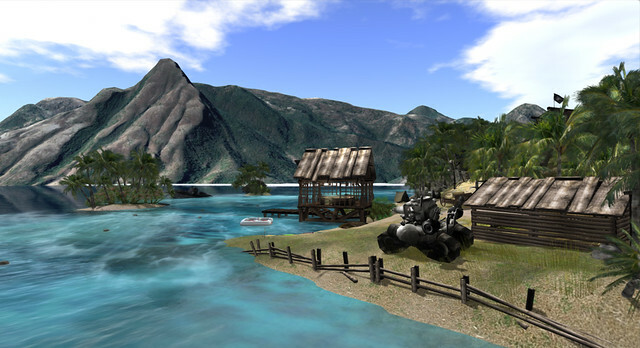 There's still work to be done in this area, and not all of the newer SL website images have been fantastic, but still this is a huge improvement over how LL presented Second Life even a year ago. If LL can keep that up and carry it over to their advertising materials then they're sure to draw more people in to take a look at SL. But what then? Presentation is more than screenshots on a website. 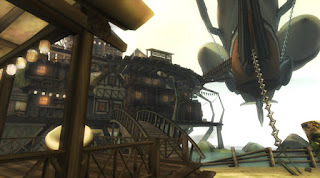 It includes the whole of the new user experience and Linden Lab's community resources within the grid itself. 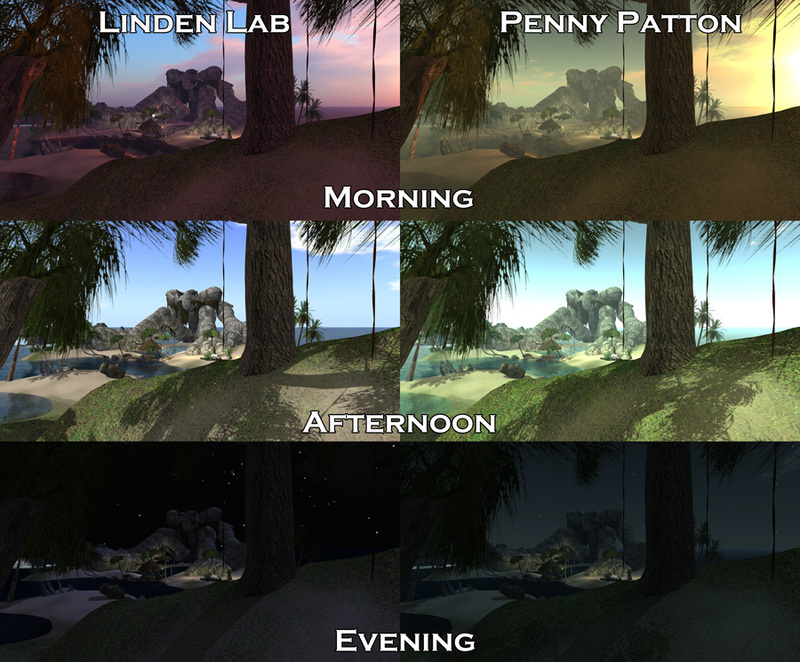 In these areas LL's presentation is still very much a detriment to Second Life's ability to retain new users. 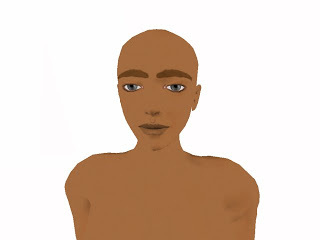 I've written volumes on my frustrations with the Linden starter avatars and they've seen no real improvement in years. They are gigantic (some of them are 7-8 feet tall!) and have extremely poor proportions (tiny heads, stork-like legs, short arms). 9 heads tall when they should only be 7.5 or 8 at most? Arms just barely reach their groin? Legs are 2/3 of their height? Must be SL avatars! about a year ago, so the feet are still visible, clipping outside the boots. It's important to note that they're not entirely bad. The creator is clearly talented and many of the clothing and attachments are actually pretty high quality. It's also unclear how much time the creator was given. A little support from LL and a little quality control could make these avatars fantastic. 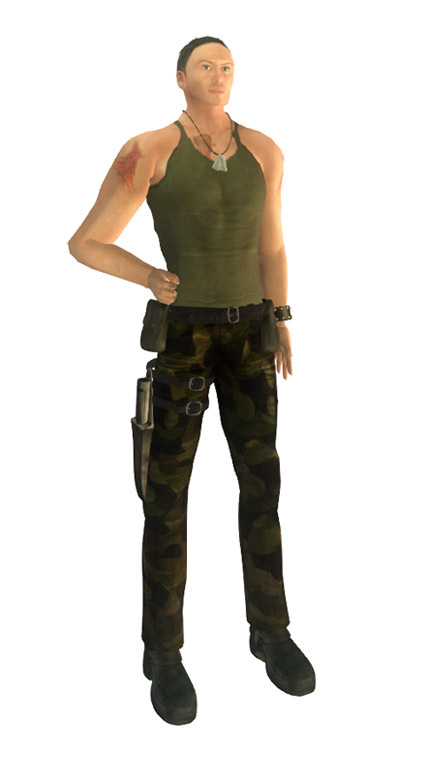 Case in point, this is the "Male Action Outfit" avatar from one of the more recent sets of SL starter avatars. And here is an alternate version. 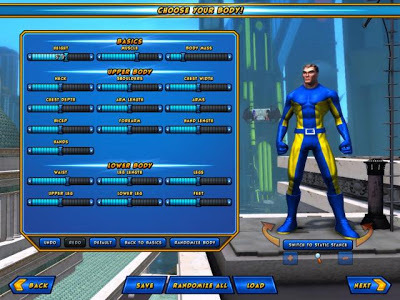 The only things I changed were replacing the skin with a freebie off the Marketplace and the shape with my own 6'3" "Heroic Male" shape, which seemed appropriate for the "action hero" theme. avatars no-transfer, preventing any such improvements from being made available. What a difference skin and proportions make! The clothing textures, hair and various attachments are perfectly fine (aside from the use of invisprims on the boots)! They're actually pretty high quality. The creator's strengths are clearly in the realm of clothing and attachments. This shows throughout the starters, although this quality is not always consistent throughout the various avatar sets. Still, that is exactly this sort of quality control which should come from LL when accepting content from the community. Playing to creator's strengths and accepting only content which meets their requirements. The person you want to use is fantastic with attachments and clothing, but not so strong with shapes and skins, use their attachments and clothing then pass the avatars off to someone better with shapes and skins to polish them up for release! Even regarding the shape, I cannot hold the creator wholly accountable and even most of the best shape creators in SL would make the same mistakes. 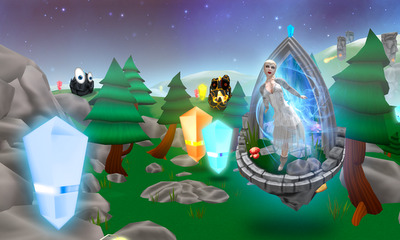 They are typical of SL avatars. 7' tall, legs far too long, arms too short, head to small. 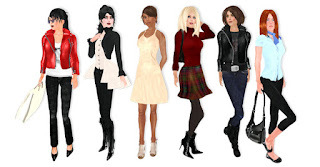 These are all common traits in SL avatars, and this is a problem for Linden Lab if they want more paying customers. Your average person is not very familiar with human proportions, not on a conscious level, but they know when something looks "wrong", even if they can't say why. SL's poorly proportioned avatars translate to "bad graphics" in the minds of most who look at them. 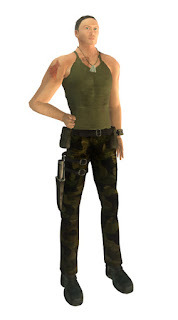 So why do SL avatars generally have such poor proportions? I delve deep into the issue in my article "A Matter of Proportion", but it can be summed up with two major problems. First, and most obvious, because Linden Lab has always started people off with awful proportions. Most people do not alter their shapes all that much, often only making adjustments to height, muscle mass and chest size. Also, again, people do not generally have a professional artist's understanding of proportion, and so would be unable to correct a poorly proportioned shape on their own. Second, and less obvious, the appearance editor itself is riddled with bugs, poorly chosen ranges for slider settings, and plain old bad design. 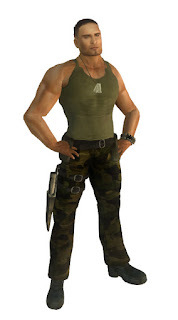 Arms are skewed too short for women, so much so that a tall woman (around 6' tall) will need to max out the arm slider to keep them in proportion, and much taller than that (SL women avatars tend to be 6'4" or taller) simply cannot make the arms long enough even maxed out at 100 on the slider. 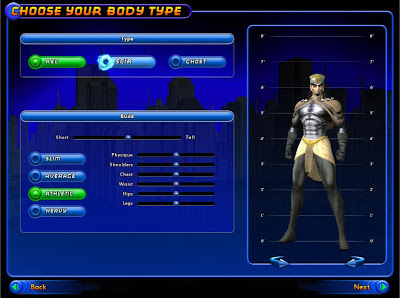 Legs are skewed too long for both genders (moreso on women), the torso muscle slider for women maxes out at 50 (I'm detecting a trend here, for the record women avatars also have a shorter max height than their male counterparts). 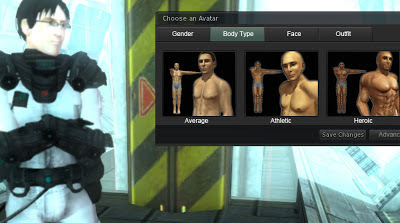 A height slider set to 50 (the midway point) will result in an absurdly tall avatar and the height displayed in the appearance editor is incorrect, off by more than half a foot, encouraging taller avatars! Luckily, this is an easy fix. Linden Lab needs to improve the quality of the starter avatars, improve the default male/female new shapes and fix the bugs in the appearance editor. It's really that simple. These should all be things pointed out by Second Life's art director, but an art director does LL no good if they do not listen to said art director and act on their recommendations. The same problems in design and inconsistencies in quality also plague the Linden maintained environments within SL, such as infohubs, welcome areas and the starting environment all new users arrive at upon their first log-in to Second Life. 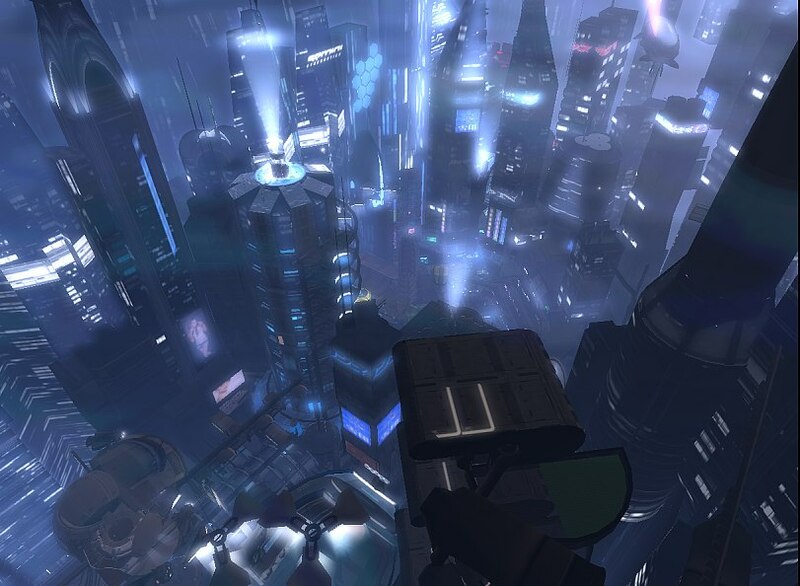 SL's camera placement is the same as you might find in an early 3D game from the mid 90's, floating 2-5 metres or more above the avatar's head, looking down. 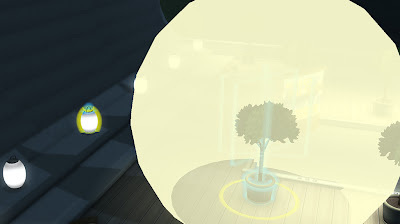 When you zoom the camera all the way in, it is still 2 metres above your avatar's head, which you can only see the very tip of. and zoomed in as far as it can go before mouselook (bottom). creators to build over-sized, resource hogging environments. This takes the person out of Second Life. They are not the one exploring this virtual world, they are merely controlling that tiny person they are looking down upon from above. It also creates a problem where environments must be huge and open to accommodate the camera. Any ceilings must be 5-10 metres high and 20-30 metres wide in all directions. For comparison, the average ceiling height in your average home or office is about 2.5m. 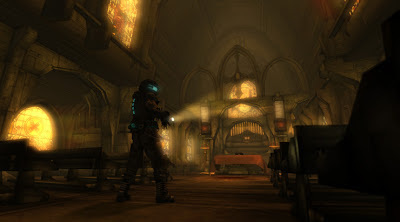 Camera placement in third person videogames has been steadily improving since the 90's, it's long past time for LL to join the modern era of third person virtual environments and improve the SL camera. GTA 4 and Fallout 3 to Dead Space and Oblivion. 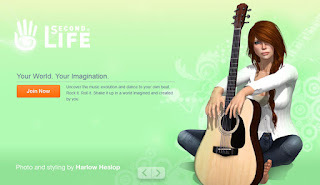 It translates very well to Second Life. I've written about camera placement in detail in one of my earliest articles, "A Matter of Perspective" and followed it up with an abridged version with only the instructions on how any SL user can improve the SL camera just by changing some numbers in the Viewer Debug window. 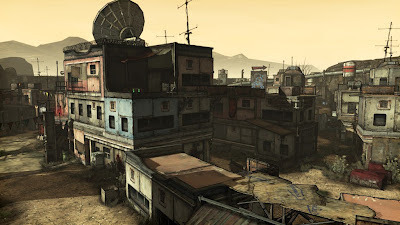 I have addressed the issue of scale in Second Life in thorough detail with my article, "A Matter of Scale", so I won't waste too many words on it here. It's enough to say that this issue is a combination of avatar size issues and SL's poor camera placement. Also that it affects Second Life in three significant ways. 1. Ease of use - As no content creators can build around a universally understood sense of scale, content cannot be made which content consumers can expect to work without a substantial amount of effort on their part. 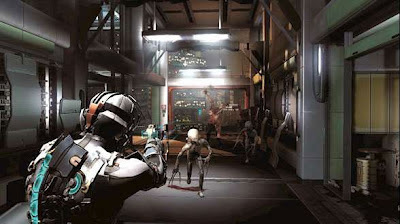 For example, if human avatars could be reliably expected to fall within realistic human sizes (5-6', give or take a few inches), furniture could be made at that set scale and work with most human sized avatars out of the box with no effort on the part of the consumer. Since the average human avatar in SL varies much more drastically (anywhere from about 5' to a whopping 9' with a nearly 3' difference between men and women being almost standard), it is pretty much guaranteed that any purchased furniture will need to be resized before it will work with the consumer's avatar, and is unlikely to work with even most of the avatars that person associates with. 2. Presentation - Avatars are not in scale with each other. Furniture is not in scale with most avatars or the room they all inhabit. All of which makes SL look "wrong" to the casual observer. 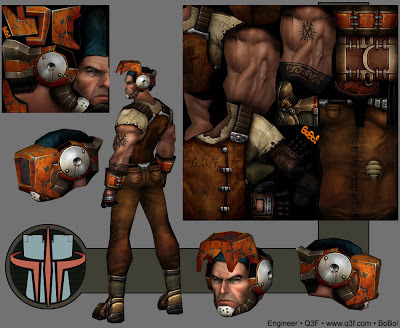 Gigantic/monstrous avatars, such as aliens, robots and mythical creatures, are impossible without using animation hacks to make the avatars excessively tall. 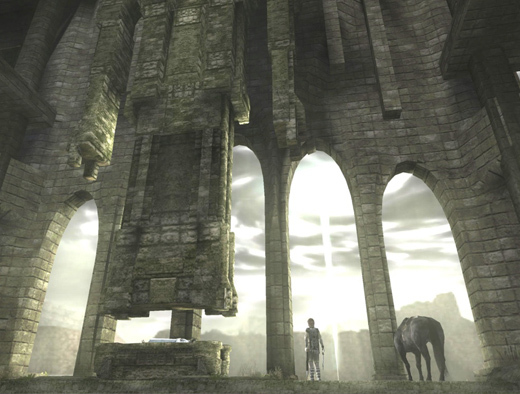 In most literature, movies and videogames, a minotaur is depicted as 6-9' tall. To get that same effect in SL a minotaur must be 9-15' tall. The Predator from the movie of the same name was 7'2", to achieve the same affect in SL an avatar would need to be 11' tall. Put simply, when giants are normal, no one can be a giant. 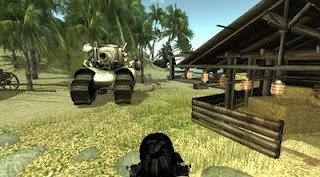 Even though SL avatars are capable of being anywhere from 4' to 9' tall, the freedom of avatar creation is thus artificially restricted to "normal" and "short". 9' tall "gigantic demon beast" next to typical 7.5' SL male. 9' tall "gigantic demon beast" next to 6' tall male. 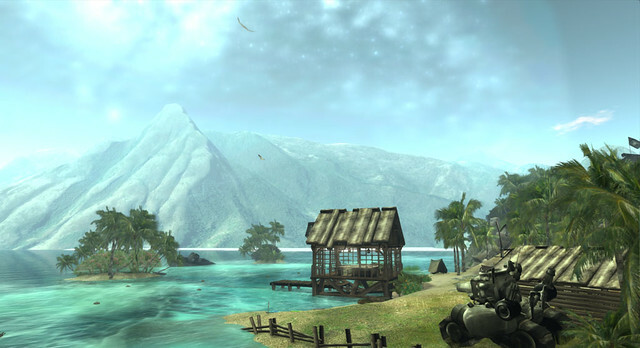 Scale cannot be used to effectively convey size even in environment design. A cathedral sized room has little or no impact on the visitor because the entire concept of scale is thoroughly diminished. near eye level rather than 3 metres above your head and looking down at you. 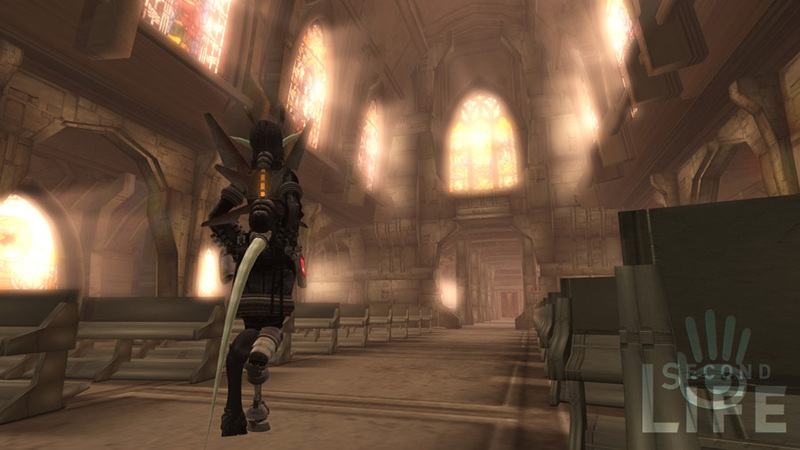 9' tall and the pews only come up to your ankles. 3. The Bottom Line - The scale issue impacts the pocket book of every single SL user and Linden Lab themselves via land. Land is a static size in SL. You cannot buy 512sq.m. of land, grab a corner with your mouse cursor and scale it to the size you need. It will always be the same size. If an avatar is 8' with a camera floating an additional 4metres over their head, then that 512sq.m. of land is substantially smaller than it would appear to a 5'10" avatar with their camera tucked neatly over their shoulder. A room that would be too cramped to navigate for the former could appear to be excessively large to the latter. ...in a 2048sq.m. parcel using only about 400 prims total? And it predates mesh! The shop/bunker alone would fit in a 512sq.m. parcel easily, with room to spare. In addition, larger builds eat up more resources. Prims can only be made so larger, if you're building larger then you are forced to use more prims. With mesh the LI cost increase is much more dramatic, as mesh increases in cost the larger you make it. Would you believe all this and much for fits snugly into only 1/4th of a sim? How does this affect LL's profits? Easy, it means fewer people buy land. Linden Homes are a perfect example of this in action, via a costly work-around where Linden Lab "cheats" their own system to provide a 512sq.m. parcel to residents, with a pre-made house which does not count against the parcel's prim limit. Through my own work in SL I try to demonstrate tha,t with more efficient use of resources and scale, an individual can place a larger, more detailed house on the same parcel of land, fully furnish it and simultaneously have it appear more spacious than the Linden Homes due with typically over-sized avatars with poor camera placement. And make no mistake, given the option to scale down, those already paying for more land would not tier back, instead they would happily keep the land they have and simply make better use of it. Simple supply and demand. Everyone wants more land, but has a limited amount of money they're willing to spend. If they can get more value for their dollar, they will do so. If the perceived value fails to meet what they are willing to pay then there is no sale! Again, I'd refer readers to "A Matter of Scale", which provides a more detailed explanation of the problem and solutions, but I will recap here in brief. There is no simple fix to this issue. Second Life is about a decade old now and this problem has beem compounding since the start. LL can, and should, begin to alleviate the issue and then let time take care of the rest. So how should Linden Lab approach this issue? As already mentioned above, fix the scale and proportions of the starter avatars. Correct the height displayed in the appearance editor. 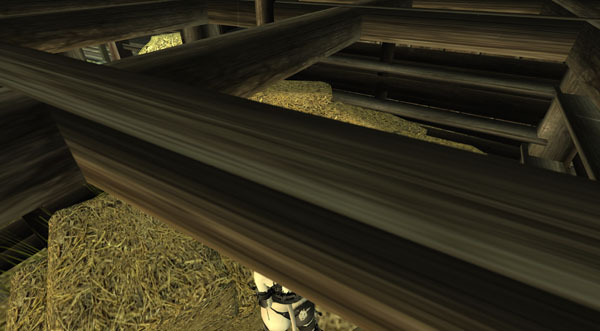 Improve the SL camera placement as demonstrated in most modern third person videogames. Lead by example in creating better scaled library content and Linden owned Premium and public areas. There are many other ways Linden Lab could improve presentation to make SL more appealing, but if they only addressed the above issues they would still be in pretty good shape as far as presentation goes. Continue with improved promotional imagery for the SL website, Marketplace and advertisements! Fix the proportions and size of the starter avatars. Improve the skin textures of the starter avatars. Quality control for avatar clothing and accessories. Most of them are great, but some stand out as poor. When contracting content, play to creator's strengths! Provide brand new default male and female shapes when people create new shapes. Increase the max arm length for women, this may affect existing shapes but nearly all for the better and it's extremely easy for people to revert if they notice and don't like it. 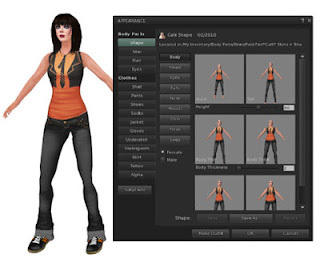 Fix the torso muscle slider bug for female avatars so muscle mass continues to increase past 50, this may affect a small number of female shapes, those who do not like the change need only revert their torso muscle slider to exactly 50 and their muscle mass will be as it was before the fix. 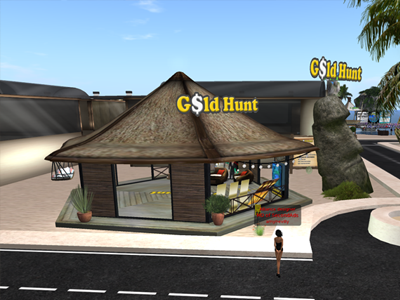 Other SL Visual Presentation Improvements! Going forward, improve the quality control over Linden public areas such as infohubs and starter areas. Improve the default windlight sky settings. 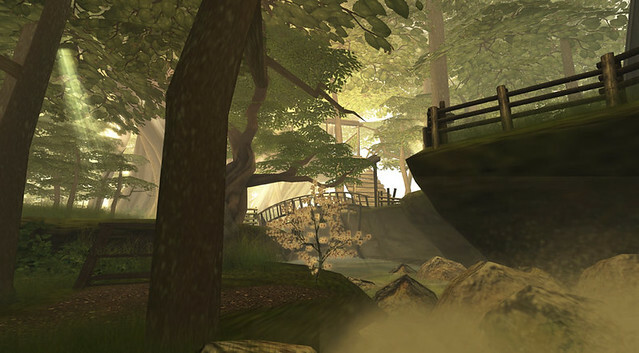 Addressing "the scale issue" makes land more valuable which means more paying customers for Linden Lab and a richer, more detailed Second Life. 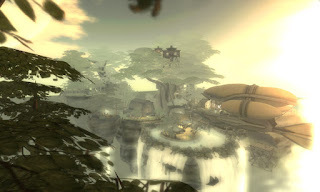 In the next installment we examine how Linden Lab could introduce some new features, as well as taking a closer look at an often forgotten existing feature, to better showcase Second Life's plethora of content to users new and old alike.